The best cabin floorplan design starts with deciding on the rooms or spaces you need and their function and relationship to each other. The final floor plan or cabin layout will evolve as you refine your actual need for space and how you intend to utilize it. 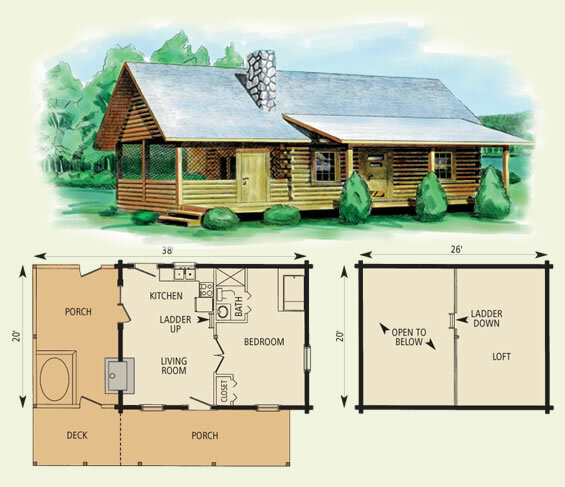 Small log cabin floor plans will need to be more creative in their use of space, making areas double up in their functionality, perhaps shifting use throughout the seasons, or as guests come and go. Don’t worry about starting with a set size or square footage in mind. This can come later as you match the size with the budget, shrinking rooms or expanding other areas. You may re-evaluate your priorities and change your mind about the need for certain spaces when faced with the cost of building them. Log home interior floor plans tend to have much more flexibility than conventional homes because the load-bearing capabilities of logs and timbers can open up floor space with large great rooms and entire walls of windows. As you consider buying or building a log home it’s a great idea to begin an idea book; a scrap book where you collect your cabin floorplan design ideas, such as photos of cabin floorplan designs you like, pages torn from magazines that show cabin interior design elements you would like to incorporate, sketches of details that interest you or notes about materials, textures and cabin features you want, such as a corner stone fireplace or a central kitchen with a large granite countertop island. As this scrap book grows you can collate the different bits into a more cohesive idea of what you want your final cabin floorplan design to look like. Just be careful about using free log home floor plans without checking on copyrights. Most log cabin companies have floor plans available for different models they build and they can easily incorporate your ideas into their plans. Don’t get overwhelmed by the huge number of cabin floor plans that you come across. There are really only a few different log home floor plans and all the rest are just variations on these. If you do check out cabin floor plan sites on-line you can search by square footage, but don’t restrict yourself by only looking within your range. It may be possible to scale the plans up or down, or you may come across a specific design element that you would like to add or incorporate into your own cabin floorplan design. Once you’ve gathered your ideas together you can get a better idea of exactly what you need to have in your log home. Free cabin floor plans may give you ideas on how different spaces work together: you want a bathroom in or near your bedroom, but not right off your kitchen, for example. Maybe you can eliminate an entry and have your doorway open directly into the great room; or maybe your great room can use large French doors that can open wide in the summer to increase your living space. Rustic cabin interior design does not mean that your log home needs to be dark or cramped or rough. Modern log homes tend toward open floor plans with high ceilings and large great rooms and oversize windows that flood the cabin with natural daylight and bring the outdoors inside. The natural rustic settings of most log homes invite the addition of outdoor rooms like porches, decks and outdoor kitchens that expand your useable space throughout several seasons. The smooth, polished glow of varnished wood inside your cabin has a warm, natural sensibility that embraces the rustic outdoors while offering all the comforts of modern living. There’s no need to sacrifice comfort and luxury while living in a log home. Your log home interior floor plans will dictate how the exterior cabin structure will take shape. If you are looking for a large great room with cathedral ceilings and exposed timber beam roofs capable of grand log cabin light fixtures, the cabin home design may need to incorporate trusses or a structural ridge beam, rafters and purlins. You may consider using SIPs (structural insulated panels) for their rigidity and energy efficiency. If your cabin interior floor plans call for smaller spaces you may consider a series of smaller structures that link to one another, almost like a cluster of small cabin spaces that encompass your bedroom area, cooking and living area, library, office or studio area and guest space. Remember, it’s cheaper to build up (or down with a basement) than it is to build outwards. If you need more square footage, consider adding a basement, outdoor room or a loft area rather than adding an extra wing on your cabin. Other exterior details will involve choices of log styles, corner styles, and whether to use chinking or not. 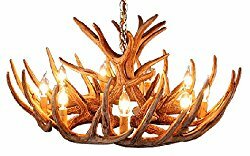 These will add to the external look of your log home and will also change the atmosphere inside the cabin as well. 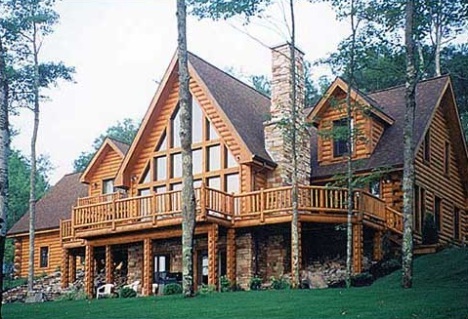 Think ahead when designing your log home and plan for any future additions or changes now. People tend to live in their log homes for a longer time period than they do in conventional homes. You can prepare for the inevitable slow-downs and tired muscles that come with age by considering universal design, or aging-in-place principles. These include wider doorways and hallways, lower kitchen countertops and convenient cabinet doors, higher toilets, sit-down showers and easy to use faucets. Keep important rooms on the same floor including master bedroom, laundry room, kitchen and bath to save climbing up and down stairs. Careful design early on can save you not only money but time as well by reducing cabin maintenance. With proper drainage in your log home landscaping and large overhangs to protect your logs, your cabin will last longer and stay in better shape. Be sure to add gutters and drains to direct water away from your cabin and site your log home carefully to take advantage of winter sun and summer shade. You can come up with your own unique cabin floorplan design customized to your needs and wishes using log home design software. You can often save a lot of money and time by tweaking an existing log home plan slightly, adjusting for your own space needs and log home lifestyle.